Today I have an honour and a privilege to present an interview with Franziska Benz, a German actress known, among others, for her role as Michelle Bauer in RTL’s Alles was zählt. Even before finishing her studies at the Akademie für Darstellende Kunst Baden-Württemberg, Franziska has been recognized for her talent and outgoing personality. Since 2016, she is a household name in Germany and is associated with the sweet ice-skating character. As a yoga teacher, what strikes me especially is how much Franziska already learned from her practice and how much wisdom comes across from her answers to the questions. Also, as an extra treat for you guys, Franziska has shared with us some of the yoga photos from her private collection, providing a unique window into Franziska’s world and the relationship to her true, human self. 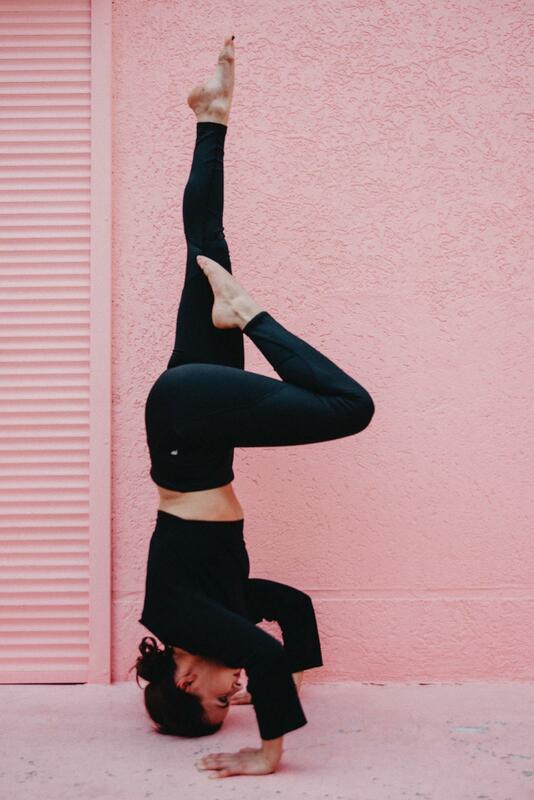 practicing yoga and what was the original impulse for you to start doing it? Akademie für Darstellende Kunst Baden-Württemberg. I had some private voice coaching and therefore my teacher taught me some yoga: to get the feeling for the resonance in the body, so that I was able to create a space for my voice and fill the whole stage and the audience-room with it. The inner muscles you engage while practicing yoga are the same, you use for your voice on stage. So, first of all, it was „just“ a useful practice to build on my acting skills. Not in a spiritual practice – not yet. into the practice did you feel like you “got hooked”? 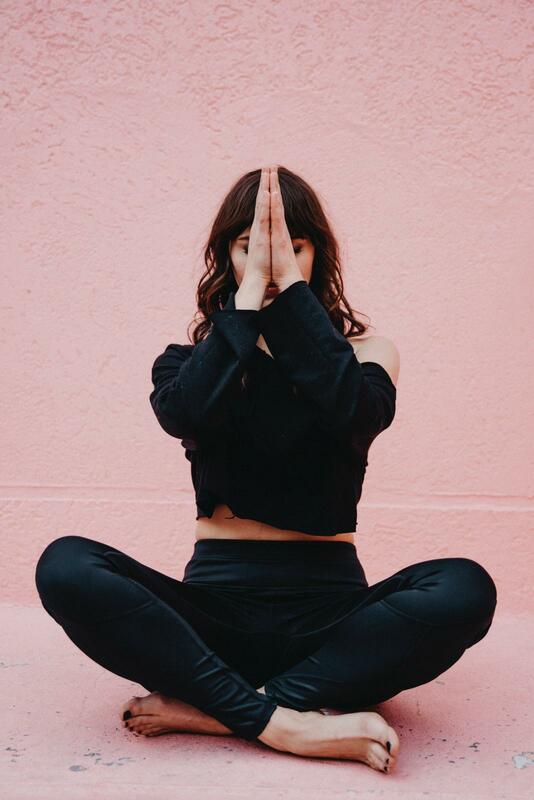 A: A deeper connection to yoga came at the times I had to shoot all day long: it was so beneficial for me to do a short yoga session for myself to calm down, to leave the stress of the industry out of my mind, to focus on my breath and on my movements, feeling refreshed and strengthened again after each session. And because it was just about me and the mat, I could stay true to myself, find creativity in the movements, do for myself exactly what I needed. However, practicing yoga in group classes at the studio, I also manage to stay focused on my inner experience, so it doesn’t matter who is doing what, which movements, I find my own rhythm which helps me, and I don’t compare myself to others. understanding of who you are, what you need, and what you don’t need in your life. Since you started practicing, what changes have happened where you felt that it was the time to let go of some of the things that didn’t serve you anymore? to find a job in this industry. I really couldn’t fine my peace, felt like I was „not good enough“, I was impatient. Now, with my yoga routine, I found more freedom and peace. Everything is as it should come, I can stay calm and I am more relaxed when I think about my acting-future. And of course, those „bad“ feelings didn’t just disappear, but now I am able to handle them in a smoother way. My personal „feel-good-weapon“ for example is a headstand. It helps me to literally change my perspective for some minutes, and this, in turn, helps me a lot in difficult situations. It’s funny and relaxing at the same time, and that’s when you get this feeling that everything in life is connected. Through this posture, I learned to have trust into my path, without forcing anything, trying to stay as relaxed as possible, but not passive! When you start to live this way, feeling and thinking like that, the magic starts to happen. Q: Do you know many other people from the creative industry who do yoga? Why do you think it is so popular these days? A: A lot of colleagues of mine do yoga. I think the reason is, is that it helps them to stay calm in this stormy, stressful, always changing, high-intensity/pressure industry and to develop the trust in oneself. A lot of artists are highly sensitive people and everyday you come in touch and connect to a lot of other people. As an actor, you connect with your acting partner to create a good scene, and in the industry, you have to deal with a lot of other people’s energy. To clear yourself from these [foreign] energies and to center yourself again, reconnecting on the next occasion, staying openhearted and openminded, yoga helps a lot. And of course, when we speak about body/mind centering, mediation is key. accordance with my breath, I’m fully present in the moment. Not in the past or in the future. Just int he now. And this feeling for me is pure magic. I also think, there is a big change in our community, as we all become more aware of ourselves, of the others, of the the nature [and it’s influence on us], of the whole world. Yoga teaches you awareness at its best. Q: Do you find yoga helpful for the creative aspect of your profession? Is it possible to use yoga as a way to get inspired and creatively approach a role or a problem in your work? when you’re acting. Even though as an actress, I know the whole dramaturgy of a scene in advance, the character that I play doesn’t know what will be happening next. So when acting, you are fully connected to your partner and you “ride the wave” with them. Q: What are you “yoga” plans for the next few years. Would you like maybe to teach yoga one day to others, including maybe on the TV? 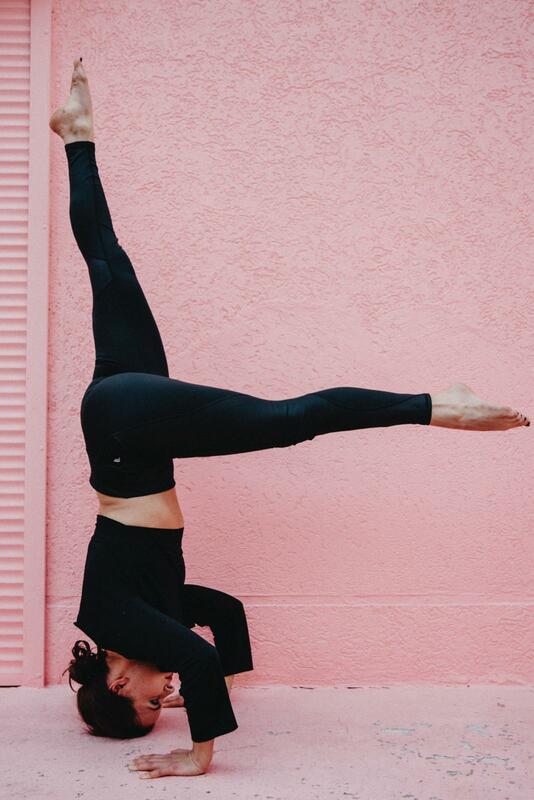 A: I would love to do a teacher training, to have a deeper connection and understanding for yoga and to be able to spread and give it to others. I can imagine myself being an acting teacher one day and therefore, I would definitely include yoga sessions as a part of my program. Our body is our instrument, and in order to feel, understand, and empower the body, there is no better way than to do yoga.